While you may be hoping this is the year dieting ends forever, it doesn’t seem like the healthy eating trend is going anywhere soon. 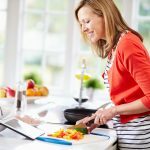 The start of the new year is one of the most popular times people strive to make healthier resolutions and promises of living a more active lifestyle. 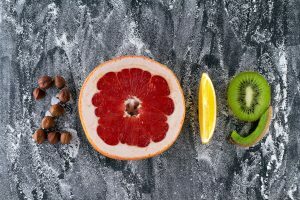 These predictions of what’s to come also initiate a discussion of which diet and nutrition trends will take over as the transition to a new year begins. We’ve compiled our list of the top dieting trends that plan to dominate 2019. An undeniable trend for a healthy lifestyle this upcoming year is the importance of gut health. In fact, almost 80% of your body’s immune system lives in your stomach and GI tract. Therefore, this upcoming year people are expected to promote healthier gut health by eating new foods and focusing on the importance of proper digestion. However, probiotic pills are expected to take a backseat, while there is a push for fresh foods and drinks that can balance microbiome naturally. This year, more individuals will get their probiotics from fermented food and drinks such as yogurt and kombucha tea. Get your gut healthy this new year and see its undeniable effect on your overall wellness. While being a vegetarian isn’t a new trend, a number of health experts predict this year the number of people relying on plants for protein will grow. Health, ethical, and environmental concerns will cause more people to switch to plant-based diets and eat less protein from animals. This means there will become more plant-based options readily available with markets for quick and convenient healthy food growing. Expect to see more plant proteins readily available such as soy, tofu, and quinoa burgers. If you were one of the few people who didn’t try or hear about the keto diet, this could be your year. Diet trends with low and no carb intake, such as the keto diet, are expected to remain popular in 2019. 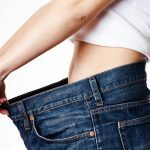 Low carb diets do work, which is why they seem to be here to stay. However, it is recommended to be under a doctor’s care during a strict no carb diet. A greater push for an eco-friendly, low carb diet will become popular this year. As the new year begins, find a way to create a healthy lifestyle that works for you. Dieting isn’t the only option, push yourself to meet goals that encourage overall health in all areas of your life. Combine any diet regime with proper exercise and mental health and you’ll be on the way to dominating the new year in a way that fits your goals. 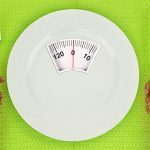 Is Intermittent Fasting a Good Weight Loss Technique?